MALCOLM Turnbull reportedly hated a star ABC journalist so much the chairman called for him to be fired, a claim the former PM denies. 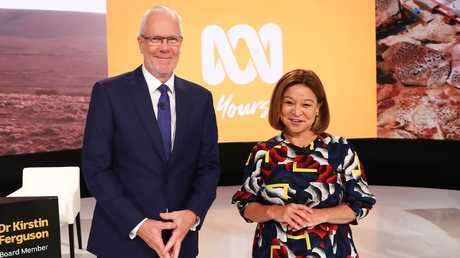 An explosive email has revealed ABC chairman Justin Milne ordered political editor Andrew Probyn to be fired because of Mr Turnbull's views, with Mr Milne telling then managing director Michelle Guthrie "you just have to shoot him", according to The Daily Telegraph. But Mr Turnbull has denied asking for any journalists to be fired, saying he complained about specific errors in ABC stories and that accuracy had "deteriorated over recent years". According to Fairfax, Mr Turnbull rang the ABC chairman while still in office to complain about a report from chief economics correspondent Emma Alberici on company tax, which he claimed was full of inaccuracies. 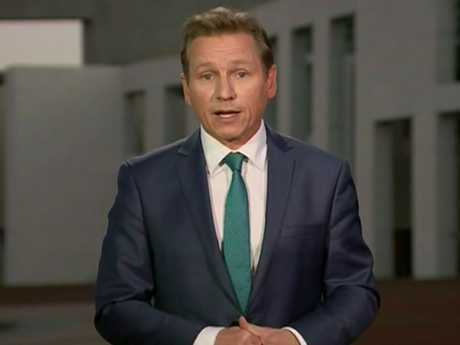 Mr Milne reportedly ordered then managing director Michelle Guthrie to fire Alberici and Probyn after Mr Turnbull's comments. Ms Guthrie has since been sacked. Pressure is now on Mr Milne to resign over the matter. Asked whether the ABC chairman should go, Mr Turnbull said "those are matters for Mr Milne". 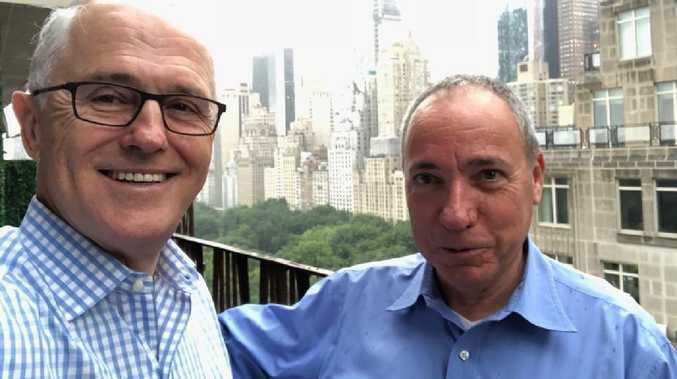 "I want to be very clear, I have not complained and do not complain about left/right bias," Mr Turnbull said in New York where he was a guest speaker at a United Nations General Assembly side event. 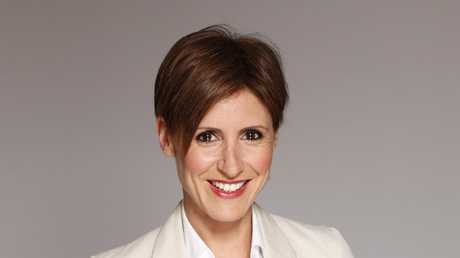 Malcolm Turnbull says he never asked for ABC reporter Emma Alberici to be fired. "My concern has been purely about the accuracy and impartiality if news and current affairs reporting on the ABC. "I do believe it has deteriorated over recent years. Everybody is entitled to express their views about the ABC and ministers do and prime ministers have done always, and that's very important." "In an era of social media and in an era of fake news … the ABC is more important than ever," he said. "But that is why it's vital that it has high standards of journalism, that its reporting is accurate and impartial." 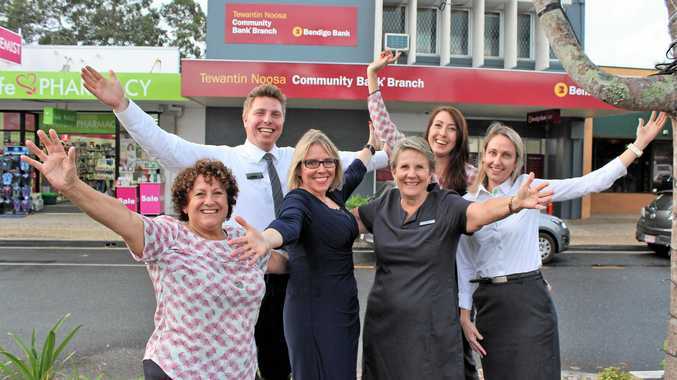 Mr Turnbull would not comment on whether he had "forgiven" the colleagues who tipped him out of his job. "I am retired from politics, I am not involved in partisan politics any longer," he said. "From time to time, I will express my views, as any citizen does on matters of public importance, but I am not involved in matters of partisan politics any longer and I wish all those who are the very best." Mr Turnbull also admitted he had some tricky conversations in New York when asked about why he was no longer prime minister. He was at the UN to launch a tobacco-free finance pledge, which he had co-signed with French President Emmanuel Macron when he was prime minister. 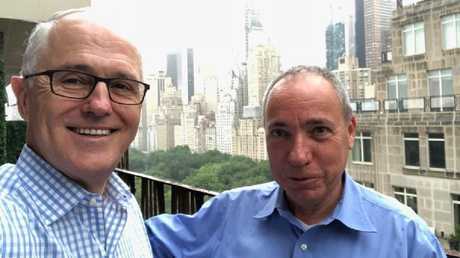 Former prime minister Malcolm Turnbull pictured in New York with Israel foreign affairs director-general Yuval Rotem. "Yes, I have had questions about it, but they are the same questions that Australians have asked," he said. "And the answers are difficult to provide." Mr Turnbull said the best description he gave them was that the whole episode was a form of "madness."